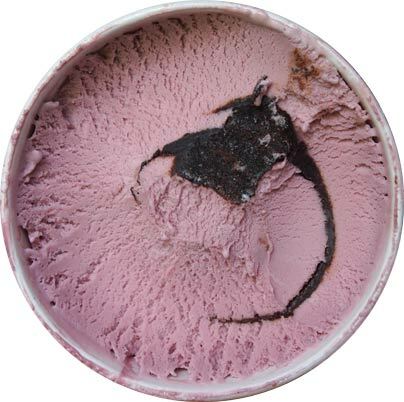 together in a lactose free ice cream"
I do love black raspberry ice cream and I think that's what they are going for. 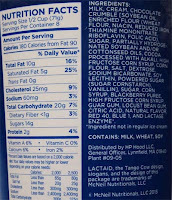 Dear Lactaid, "crumble" is not the same thing as "swirl"
(though technically it does crumble a little as you eat it). If I had to keep things simple (and when don't I), I'd have to say that this reminds me more of a sherbet than an ice cream on first scooping. A big part of that is flavor, but just the way the whole thing breaks down feels like it's leaning more towards sherbet. Maybe it's just my pint, but there seems to be an icy component here so that's helping mess with that sherbet vibe as well. So I am going along and it's not bad, but it'll never be mistaken for some super premium or all natural ice cream but I've had worse. It's just that sometimes there are these weird finishing notes that I can't quite describe. A bit watery in one sense and the notes also lack clarity. Despite not being actual crumble, the swirl is pretty cool. It's a hearty, thick swirl like a thick fudge frosty. Flavor is decent but I haven't gotten a whole lot of flavor mixing in this serving. Despite being together, I never thought "wow, that was a nice chocolate raspberry bite"
Hold on, let me grab a little more.... 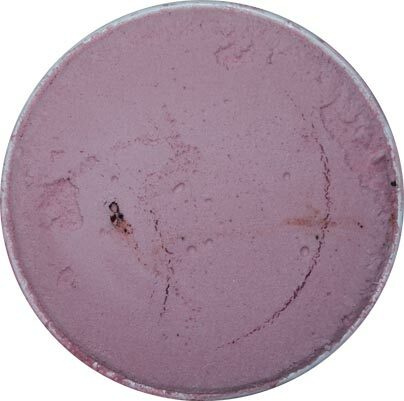 There's something missing in the flavor profile of the base. The ingredient list doesn't exactly read like top notch ice cream, so maybe that's part of it. It's nice the lactose intolerant crowd gets a few more options, but I think they could tweak this one. On Second Scoop: So I've been going back and forth on how I feel about this one. First, I've moved on from that sherbet thought I had originally (maybe the top was a little freezer burned). Now on one hand, it's not bad, but on the other hand, it uses budget ingredients.What this means to me personally is that I can't tell if any points of contention are because of the lactese or the budget. If you have trouble with lactose, sure, give this a try. If not, it's still not terrible, but it may not make the best first impression. It's not about to blow your favorite ice cream out of the water. Before I go, I have a question for all our lactose intolerant friends out there. What's the difference between eating this or just eating regular ice cream and taking a regular lactaid tablet with it? 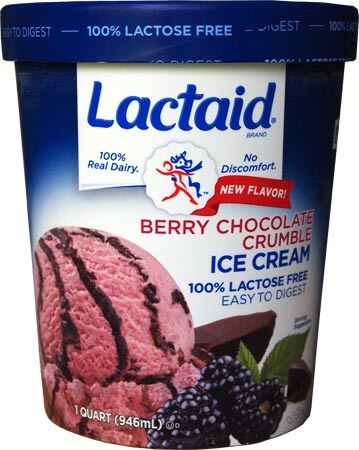 Chemically speaking, I would assume the lactese in the lactaid ice cream is more evenly distributed and should lead to less digestive trouble, but I don't have the necessary lactose trouble to know if that's true or not. If you know the difference, let us know in the comments and maybe we'll all get a little smarter today. Learning Time Update: A commenter pointed out that with a product like this, the lactese should have completely broken down all the lactose by the time it hits your tastebuds. This is a good thing because if you are more intolerant to lactose, a tablet may not be able to reach all the lactose before it hits your system. I think I said that right. All the lactose has been broken down in this ice cream, so the lactase already performed its job before you eat. 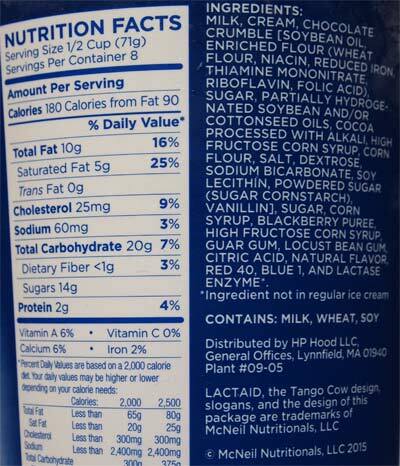 Lactase pills break down the lactose after you eat. In my experience, the pills don't work as well. I wish Ben & Jerry's would make a lactose free ice cream. That being said, the only one really worth trying in my opinion is their Coffee Caramel dairy free pint, the other ones taste weird to me. @lactoseintolerant (and Anon): ok, that makes sense, basically it's better for those are are less tolerant. @Caitlin: no no, we're not talking non-dairy today, we're talking about dairy products that include the lactase enzyme which helps breakdown the lactose that is in the milk and cream.